27 is an important date in Haridasa movement. It is the Aradhana of Prasanna Venkata Dasaru. This Haridasa saint ocupies an important place in Haridasa Sahitya. For one, it was Raghavendra Swami who sent him on way to Tirupathi for Darshana of Srinivasa when Prasanna Venkata (As a boy he was known as Venkanna) was just 12 years old. Once he reached Tirupathi and had darshan of Srinivasa, it was the lord himself who scribbled the ankita nama Prasanna Venkata on Venkanna’s tongue. Not only that, Srinivasa appeared in the dream of the then Chief Priest of the Srinivasa Temple and asked him to hand over a packet and other items, including a tamboori, to Venkata Dasa. Venkanna was the second son of Narasappiah and Laskhmi of Bagalkot and he was born in 1680. Venkanna’s elder brother was Raghavendra. Narasappaiah belonged to the famous Kakhandiki family in Kakhandiki near Bijapur. Prasanna Venkata Dasa was a contemporary of other Haridasa greats such as Jagannatha Dasa (the writer of Hari Kathamrutasara), Vijaya Dasaru amd Gopala Dasaru. Not many people know that another notable Haridasa-Mahipati Dasa- was also from the same village and the same agrahara-Brahamanara Agrahara of Kakhandiki in Bijapur. When Aurangzeb conquered Bijapur in 1686 and took the last Adil Shahi Sultan, Sikander prisoner, he named a Moghul Governor for Bijapur. The Mughals, unlike the Adil Shahis, began harassing Hindus, particularly Brahmins. Many Brahmin families, including Venkanna’s father, left Kakhandiki and decided to settle down at Bagalkot which was under Maratha rule. The family choose Bagalkot as it hosted some of the best known Dwaitha and Vedas schools of the region. Narasapaiah and his family settled down on 70th Street which then was known as Killa street, where a large number of Brahmin and Veda pandits lived. It was here that Venkanna was born.By this time, Venkanna’s parents were pretty old but they were determined to make Venkanna an erudite Dwaitha scholar like their first son Raghavendra. They performed Upanayanam of Venkanna when he was eight years old. Venkanna’s parents died thereafter. Raghavendra then married Cauvery. He took up job as a priest. Venkanna was left unattended-his brother did not have the time and his sister-in-law too could not take good care of Venkanna. One day, Venkanna decided to go away from home and joins a group of pilgrims going to Tirupathi. He was just 12 years old then and it is from here that his remarkable journey as a Haridasa starts. Haridasa, as a movement, began in Karnataka. The Haridasas were essentially in love with Hari or Vishnu and sang his praises. 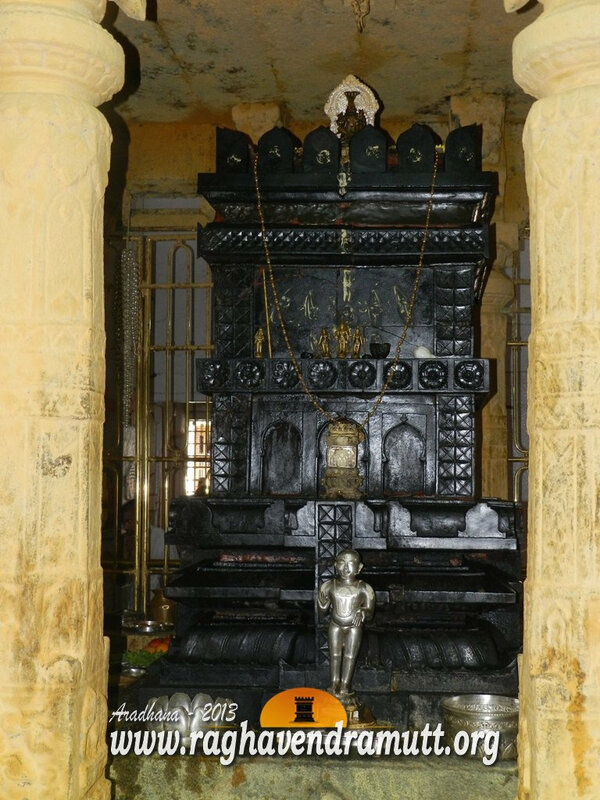 The first Haridasa is Achalananda of Bangalore. He lived in the ninth century. After him, there was a lull and the movement resurfaced during the time of Madhwacharya. One of Madhwacharya’s direct disciples, Narahari, wrote several devotional songs. It was with the arrival of Sripada Rayaru that the movement really took off. Sripadaraja is generally termed as the pioneer of the movement as for the very first time he wrote songs in Kannada which till then was unheard of. After him came Vyasa Theertha, Purandara Dasa, Kanaka Dasa and other Dasas and this period which corresponded to the Vijayanagar era was the peak of Haridasa movement. The Dasa movement waned again and it is then left to Gopala Dasa, Jagannatha Dasa, and Prasanna Venkata Dasa to give it a second lease of life. After his Tirupathi trip, Prasanna Venkata Dasa visited Mantralaya and saw Guru Raghavendra sitting in the Brindavana. Both have a talk and then Dasaru proceeds towards Bagalkot where he rejoins his brother and sister-in-law. He writes scores of songs and also meets Jagannatha Dasa at his home in Bagalkot.